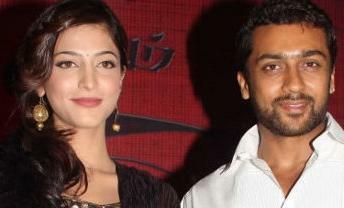 We all know that Surya is busy in completing A.R.Murugadoss's 7am arivu opposite Shruti Hassan, the movie is being produced by Udhayanidhi Stalin of Red Giant movies, audio will be launched in March. 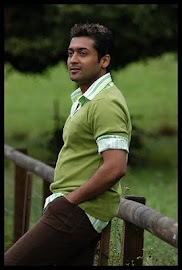 Surya’s character in 7aam Arivu is named Anwar Basha, it has been reported. In this film, the star plays a handicapped circus artiste and is said to have done some daredevilry stunts. The film’s leading lady Shruti Haasan’s name in the film will be Sharmili, it is being said.7am arivu will release simultaneously in Tamil and Telugu. The Hindi version of the film is yet to be finalized as the makers are in a dilemma either to dub or remake the film.